Thank you to Stephanie Moore, who introduced me to this wonderful site, which I am joining now that I know about it…: http://www.bragmedallion.com/. 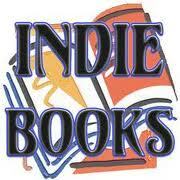 indieBRAG, LLC provides enlightenment of the readers, by the readers, and for the readers of self-published books. The advent of self-publishing companies and print-on-demand technology has changed this. Now anyone can publish a book and the number of books being self-published is exploding, reaching into the millions annually. However, there is virtually no control over what is published or by whom, and industry experts believe that upwards of 95% of indie books are poorly written and edited. There are professional book review services and bona fide writing competitions within the self-publishing industry that certainly help address this problem. However, none provide an independent, broad-based and reader-centric source to advise the public which indie books merit the investment of their time and money. This is precisely the reason that indieBRAG, LLC, and the B.R.A.G. Medallion™ exist. Our company fills a critical void within the publishing industry by providing enlightenment of the readers, by the readers, and for the readers of self-published books. B.R.A.G. looks exciting and could be very useful for Indie writers – anything that helps improve the standard of Self Published books has to be good!